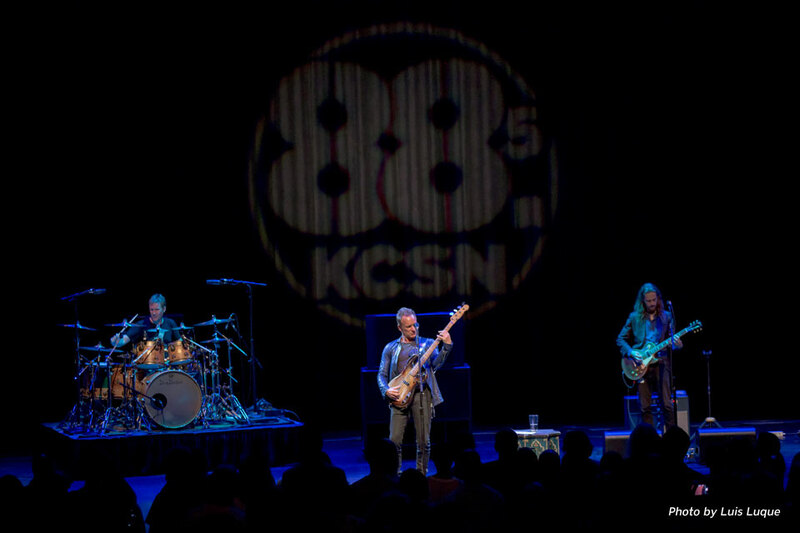 Rock icon Sting performed new music and classic hits from his Police and solo career during an intimate KCSN concert at the Valley Performing Arts Center. Photo by Luis Luque. Sting played music from his new album, 57th and 9th. Photo by Luis Luque. Along with the new music, Sting played classics from his Police days as well as his solo career. Photo by Luis Luque. After the show Sting sat down with KCSN GM/Program Director Sky Daniels to talk about KCSN, this rare performance and his music career. Photo by Luis Luque. Nothing like a concert from one of the most iconic voices in rock history to further liven up an already lively first week of the Fall 2016 semester at California State University, Northridge. 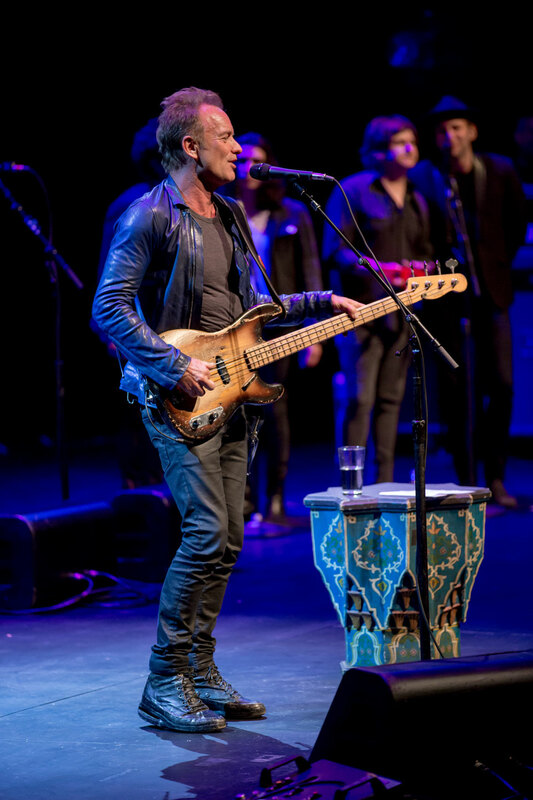 But that’s exactly what happened when Rock and Roll Hall of Famer Sting debuted music from his new album 57th and 9th along with hits from his past during a KCSN 88.5 FM concert held at the Valley Performing Arts Center on Aug. 31. A small audience of invited guests of KCSN were on hand for this rare performance. 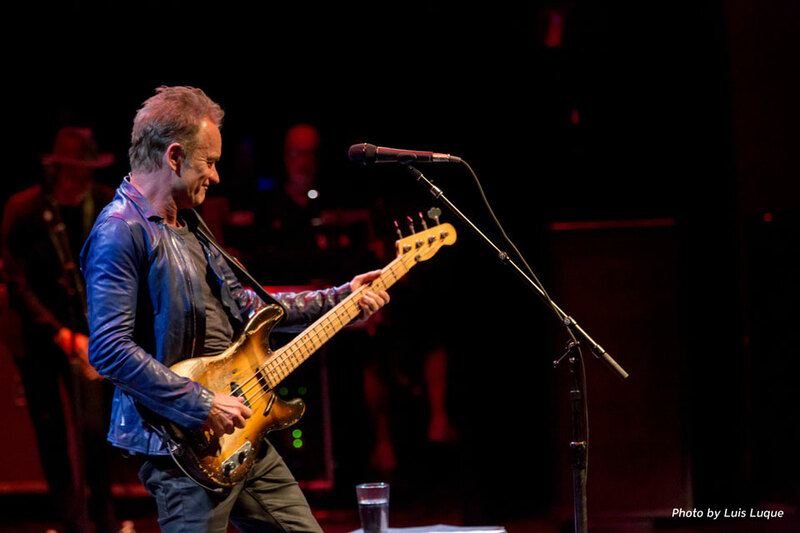 Sting, who has played stadiums and large arenas since the late 1970s, rarely performs in such an intimate setting. Having just completed a summer tour with fellow Hall of Famer Peter Gabriel, which included two nights at the Hollywood Bowl in July, Sting’s performance is a preview for an upcoming solo tour. 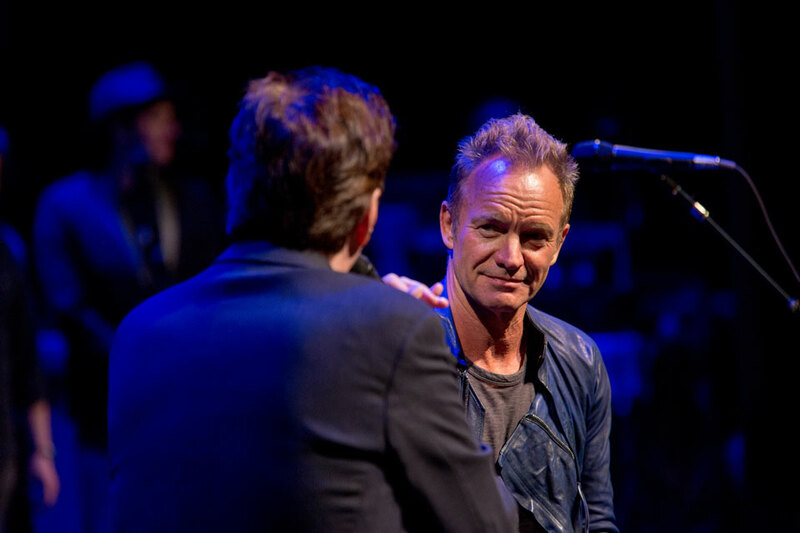 Between songs at Wednesday’s show, Sting saluted CSUN’s KCSN by calling it “a very important station for artists.” His words echo what Beatles Ringo Starr and Paul McCartney have said about KCSN in the past. After debuting the new music, Sting played classics from his Police days like Every Breath You Take and Message in a Bottle, and the soul-searching All This Time from his solo career. It was a unique treat for CSUN and those in attendance.